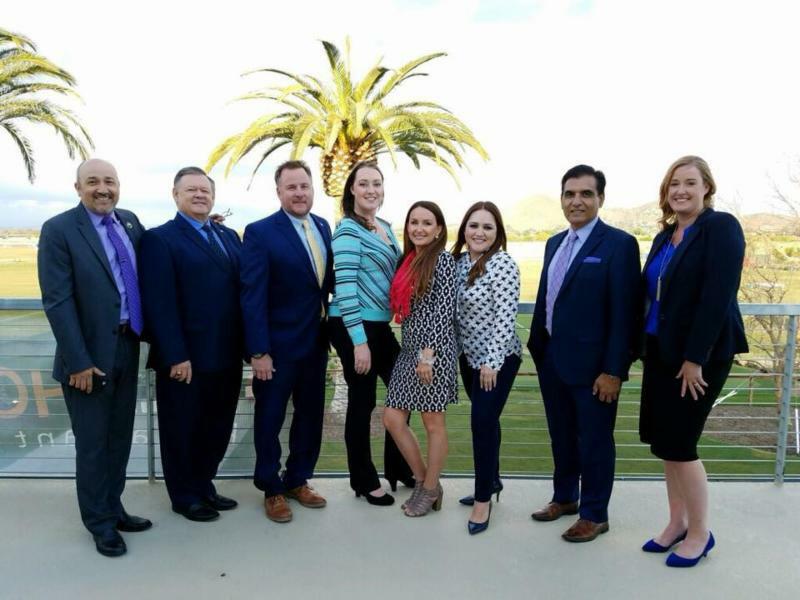 The mission of the Norco Area Chamber of Commerce is to enhance the community by strengthening business. Wed., Apr. 3rd, 11:30 a.m. - 1:00 p.m. 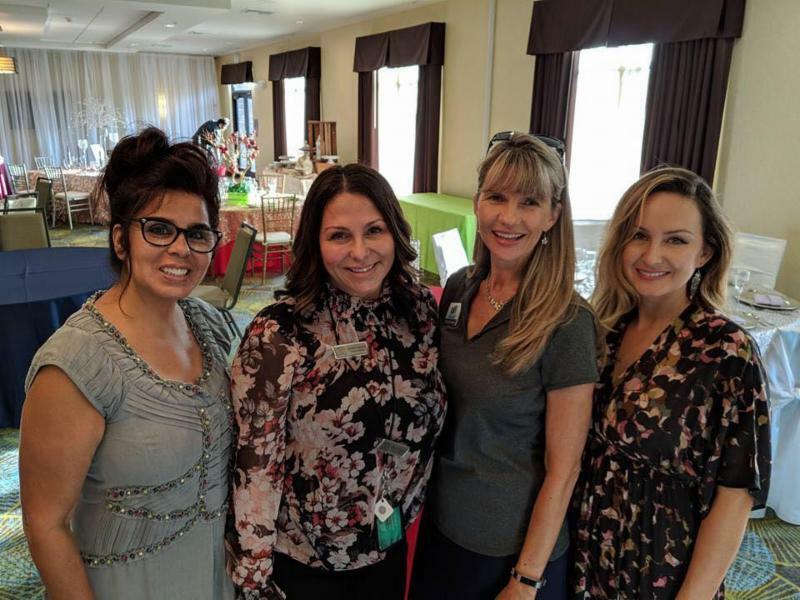 Attend the Norco Area Chamber's monthly Business Referral Group Meeting and grow your businesses network. Bring your business cards and order a delicious lunch from our host - everyone is welcome! NACC Monthly Luncheon "There's a new Sheriff in town"
Wed., Apr. 17th, 11:30 a.m. - 1:00 p.m.
Join us for a special Monthly Luncheon as "lunch is on us". We invite all community leaders and businesses to enjoy lunch as we meet Lt. Elia! Come see what the chamber has to offer- Click here to register online. It's time to start planning and working on the 2019-20 Norco Community Profile, Map & Business Resource Guide. Our last guide was a huge success in the community as it was placed at local businesses, hotels, and our very own Visitors Center. This year's guide is going to be even bigger and better than before because we are including a member only directory with more things to do, more places go, more places to shop, dine, etc... You won't want to miss this amazing opportunity to showcase your business to the community, and to all the visitors coming in and out of Norco. 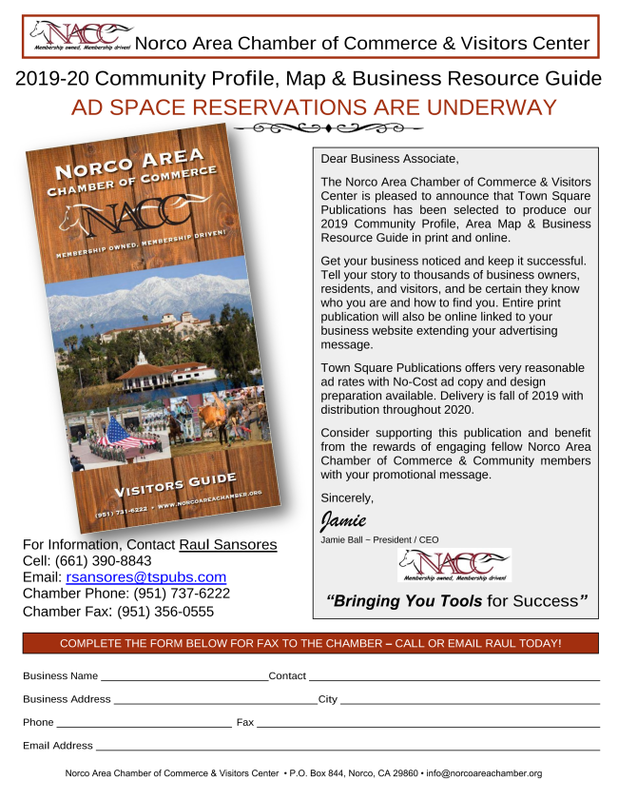 To reserve an ad space in our upcoming Norco Community Profile, Map & Business Resource Guide, download our application by clicking here and return it to our office. If you would like to see a copy of the current Norco Visitors Guide, please visit our website and click the "visitors Center" tab at the top of the page: www.NorcoAreaChamber.org . 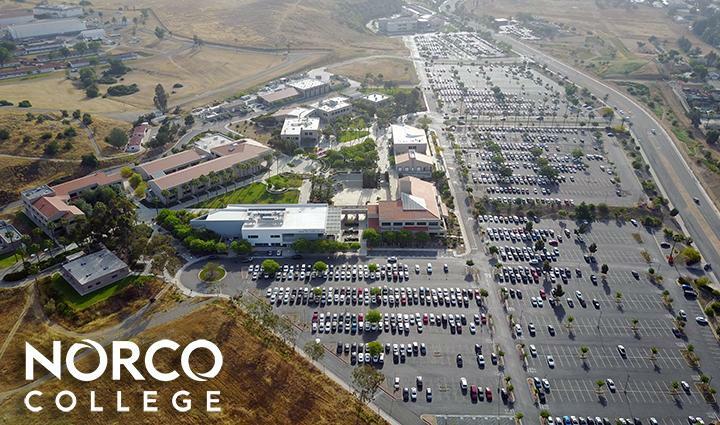 Norco College would like to invite you, and the community to take part in the process of planning the future of Norco College. Join them on April 2 nd , from 12:50 p.m. – 2:50 p.m., in the Center for Student Success, room 217 for their first Open House. A light lunch will be provided. Join the team, become a NACC Member TODAY! 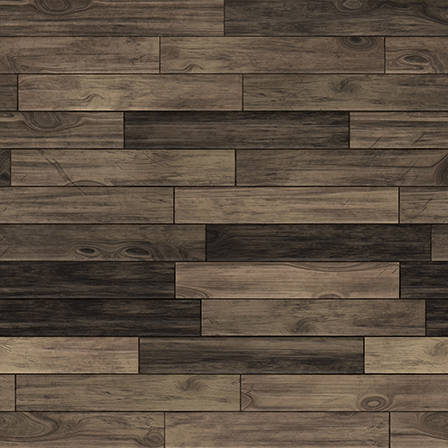 If you would like to sponsor an event, host a Business Mixer or Grand Opening, Click Here ! Fri., Mar. 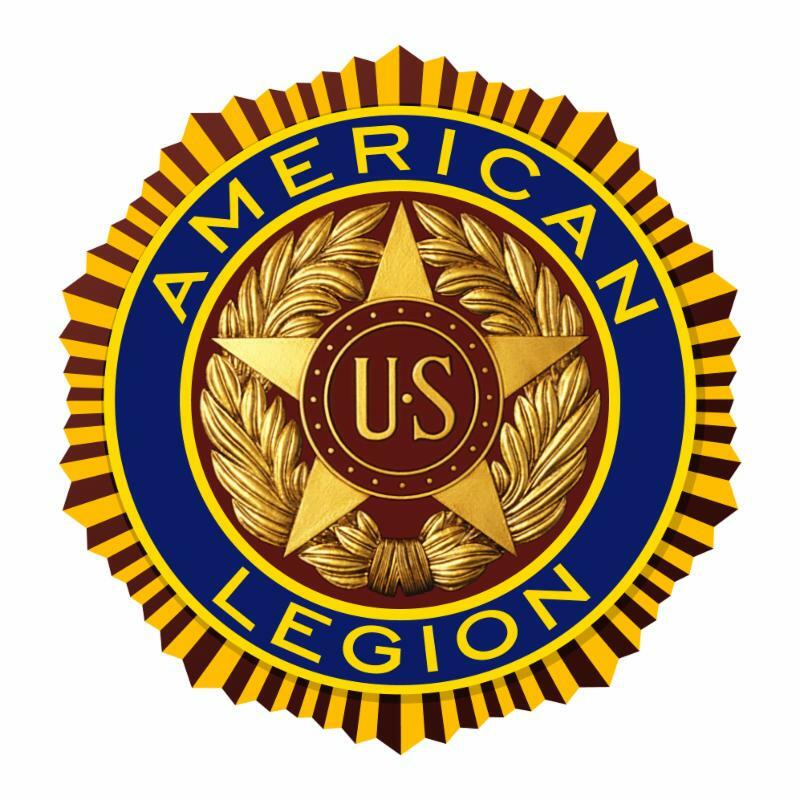 29th, 8:00 a.m. - 11:00 a.m.
Free presentation of Services and Benefits by the Riverside County Veterans Services. Free breakfast 8am, presentation 9am, Veterans Remembrance Ceremony 10am. Fri., Mar. 29th, 6:00 p.m. - 8:00 p.m. Learn more about a safari, what is it, what it is not....what you can expect, cost, safety, what do you eat, where do you stay. Everything you want to know will be covered. Who knows, maybe you too might decide that you will be joining us soon on safari. Sat., Mar. 30th, 8:00 a.m. - 11:00 a.m.
Norco College, 2001 Third St., Norco. You won't want to miss this event as you get a chance to see the Lake Norconian up close! Come one come all for Country Rose Boutique's one year anniversary Sip and Shop Celebration. Free wine and eats during this event. Take 10% off all merchandise not already reduced. Free raffle ticket w/ purchase. Raffle prizes include furniture, gift baskets & gift cards. Join the Norco Community for a Week of Western Festivities and Rodeo! There will be plenty of food, beer, w estern wear, and so much more! Click here to find out more! Sun., Apr, 28th, 1:00 p.m. - 4:00 p.m.
NDR Therapeutic Riding cordially invites you to its Grand Re-Opening. Please join them for the unveiling of their brand new lift system, demonstrations by their riders, raffle, and more! For information on sponsoring this amazing fundraiser please call Donna Hyde at 951-283-3967. IF you would like to purchase tickets please click here . 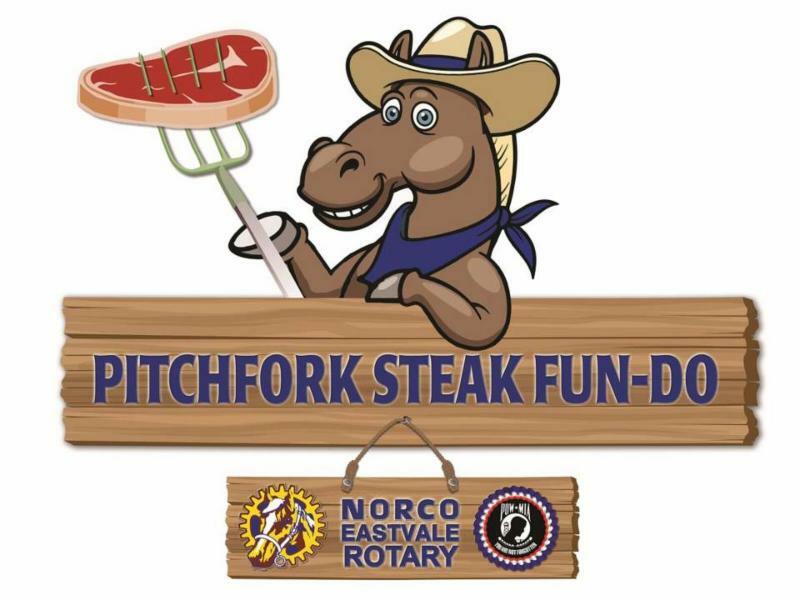 Norco/Eastvale Rotary Club's 51st Anniversary Celebration - "Pitchfork Steak Fun-Do"
Crews will be closing one lane Monday, March 25 from 10 p.m. to 5 a.m. on northbound 15 at El Cerrito Rd. for bridge widening work and equipment relocation. Thank you for your patience and please remember to drive safely through the construction area. I-15, between Weirick Rd. and SR-60, from 8 p.m. to 5 a.m. weeknights. During lane reductions, at least one lane will remain open at all times. No nighttime lane closures are scheduled for Friday, March 29. Daytime flagging and lane reductions will take place on Tuesday, March 26 from 6 a.m. to 3 p.m. 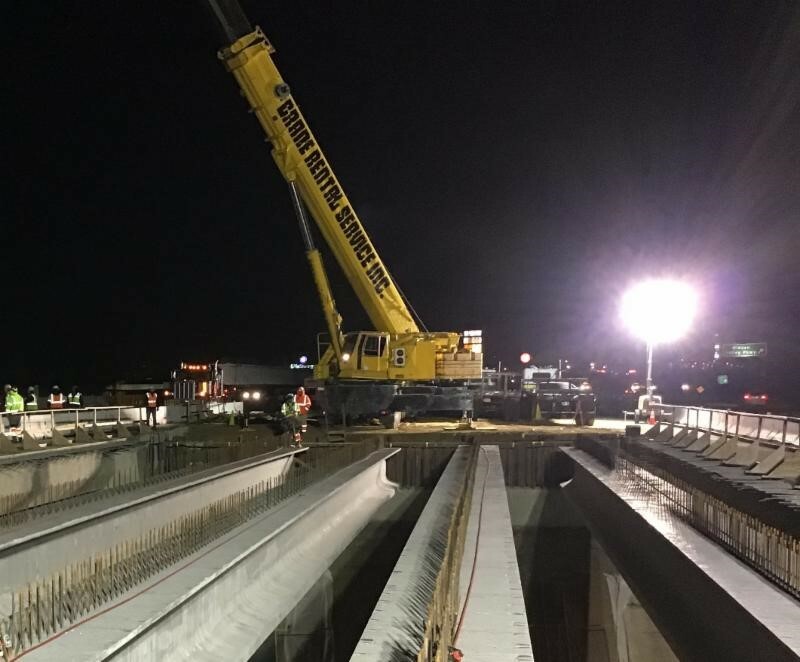 In addition, a new, temporary traffic configuration is in place on El Cerrito Road at I-15 to allow crews to widen the bridge. Please allow for extra travel time and use caution when traveling through the area. Daytime flagging operations will continue weekdays for bridge widening work on Corona Ave. at I-15 through March. Cajalco Rd. 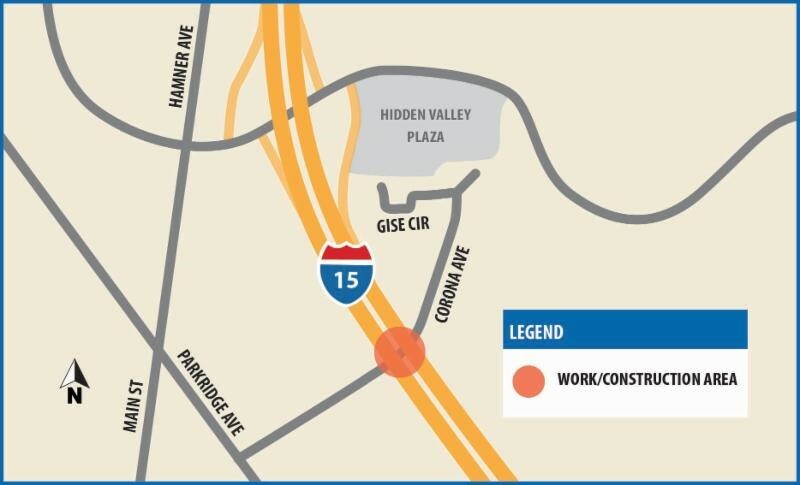 / I-15 Interchange Improvement Project: Lane reductions and intermittent daytime traffic breaks are expected at Cajalco Ave. over the next several weeks. Visit i15cajalco.com for more information. 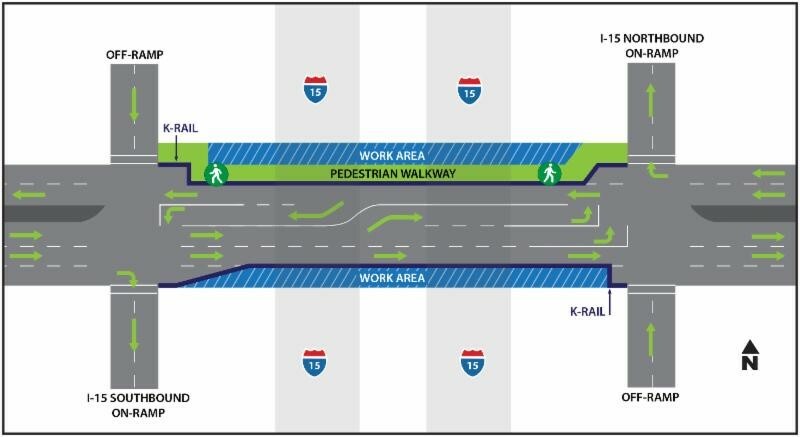 Limonite Ave / I-15 Interchange Improvement Project: Lane reductions and full freeway closures are scheduled on the 15 at Limonite Ave. over the next few weeks. Visit i15limonite.org for dates and more information. Due to the dynamic nature of construction, this information is subject to change. Sip on some great beer while learning about our Western Heritage starting at 6:00 pm every Monday. Poker nights every Monday evening starting Feb. 25th, 7:00 p.m. - 10:00 p.m.
Slam Dunk Sports Bar, 2854 Hamner Ave, Norco. Fake money, real fun! Every Monday and Wednesday from 7:00 p.m. - 9:00 p.m.
T he Maverick Saloon , 3841 Old Hamner Rd , Norco. Grab your friends and come Have some fun! Enjoy a delicious steak dinner starting at 12.49 every Thursday evening! SilverLakes FieldHouse Restaurant & Bar , 5555 Hamner Avenue, Norco. Enjoy Dinner and life music every Saturday evening! Norco City Council Meetings are held the first and third Wednesdays at 7:00 p.m. Can't make the meeting? They're recorded, and the videos can be viewed here . Click here to view the George Ingalls Equestrian Event Center's Calendar. These are all diseases mosquitoes can transfer. Call Northwest Mosquito and Vector Control District if you see a problem and need them to come spray. Their services are free with no questions asked. Click here to be linked to their website. 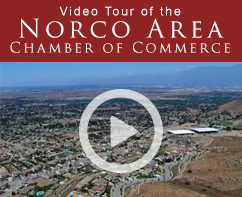 Norco Area Chamber of Commerce • Membership Owned, Membership Driven!